Doctor Care | Terri Optics, Inc.
Simplify your life. We happily fill outside prescriptions. However, there is no need to have your eyes examined in one place then travel to us with the prescription. Doctors Lawrence Lonky and Joseph Muscente will perform a through eye examination on you and your children. They each have years of experience and will provide you with excellence in eyecare. They are providers for most major medical insurance. We are your eye docs; both primary eye care and vision experts. Whatever your physical condition, eye concerns or visual needs we will provide you with a thorough medical and visual examination. Your examination will consist of your history; both physical and visual, dilation, checking for glaucoma, diabetes, hypertension, photos ( if necessary) and vision assessment. Whether you have diabetes, glaucoma, cataracts, a family history of the above-mentioned or just want a comprehensive checkup, we are the place to come to. Our doctors are experienced practioners who love what they do and are committed to providing you with the best eye care. "WE HAVE WHAT YOUR EYES NEED"
Dr. Joseph Muscente is BACK by popular demand! After taking some time off from Terri Optics to publish, teach, open his own practice, and pursue even more education (four degrees! 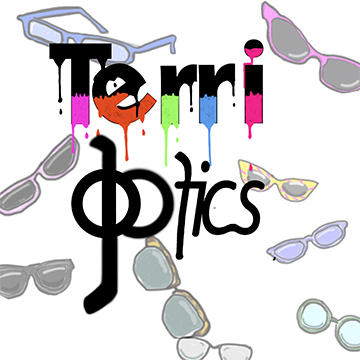 ), he has rejoined the team on Saturdays to offer top quality eyecare to the patients of Terri Optics. Specializing in primary care optometry, specialty contact lens fittings, and dry eye syndrome, glaucoma, allergies, and everything eye related, Dr. Muscente is an extraordinary eye doctor. Dr. Laurence Lonky has been serving the vision care and eye health needs of the Rivertowns for over 30 years. A graduate of SUNY College of Optometry, Dr. Lonky specializes in primary care optometry, contact lens fittings, and glaucoma management. As a member of the community, he is driven by a desire to ensure that everyone is given the highest quality eye exams. Below is a general list of insurances that we participate with. However, please keep in mind that within each of these insurances are many different plans. Our doctors may NOT participate with every single plan within these companies. To find out if we accept your specific plan, please call our office with your information.